The first phase of plots to go on sale at a major development site in the beautiful and historic grounds of Rowallan Castle Estate in Ayrshire has been launched by Galbraith. The exclusive development site offers a fresh, flexible approach to house building with various options available to purchasers, be it a self-build, unique custom build or standard customised build, all offering detached luxury homes in a truly spectacular rural setting. In total 66 plots will be released in three phases throughout the year. Rowallan Castle country estate spans 600 acres and is steeped in history, boasting two castles, Rowallan old' Castle which dates from the 13th century and the new' Rowallan Castle, an Arts and Crafts masterpiece by Scottish architect Sir Robert Lorimer, which now offers luxury five-star accommodation. Five plots have gone on sale as part of phase one, released by house builders Cherish Homes as custom build sites offering fully designed properties from their existing styles available at an agreed fixed price. This initial site lies in the north east corner of the estate, adjacent to Lorimer's historic stable complex and Gate Keeper's Cottage. 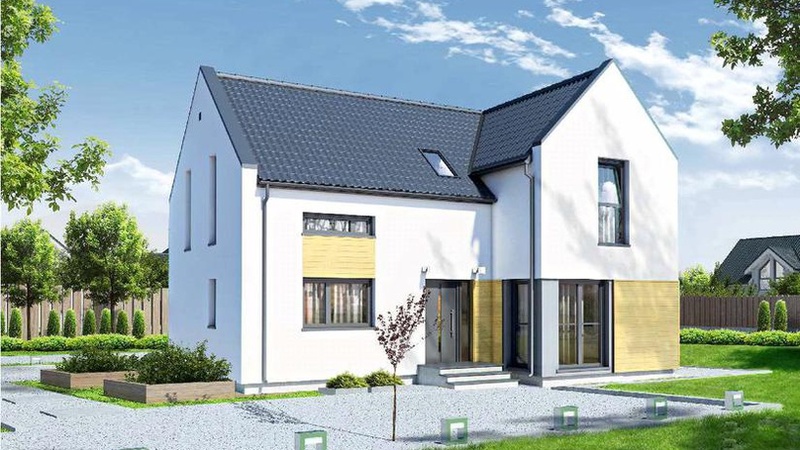 The self-build and custom-build property market is proving extremely popular and we have sold a number of plots in Ayrshire over the past twelve months that have all generated competition from developers and self-build enthusiasts alike. Early marketing for these plots at Rowallan Castle has generated a positive response and we now have several potential buyers who are keen to go ahead. Buyers like the idea of being able to choose their dream property before it is finished. This flexible approach to house building allows you to have an input into style and design, including energy efficiency elements, without the danger of going over budget or having to carry out any renovation works once you move in. The original greenhouse for Lord Rowallan is now the Glasshouse restaurant which enjoys stunning views over the 8th and 9th holes of the Championship golf course designed by Colin Montgomerie, which sits within Rowallan Castle grounds. New property owners are being offered the chance to play on this course with a one-year golf membership per plot, subject to availability. Rowallan Castle presents an exclusive and rural setting perfect for the active family market being only 20 miles from Glasgow and within easy reach of the Ayrshire coast. Buyers wishing to purchase a fully serviced self-build plot, at offers over 80,000, are being asked to register their interest early in advance of these plots being released later this year.